French investment banking returns flatter to deceive. BNP Paribas and Societe Generale run their trading and advisory businesses with less equity against gross assets than their rivals. Before piling in, investors should recall that smaller capital bases mean less profit is needed to generate the same return. Take BNP, where the pretax return on equity (ROE) for its capital markets and advisory businesses was 14.2 percent last year. That compares to an average pretax return of 12 percent for Barclays, Credit Suisse, and UBS’s investment banks. These three had equity-to-gross-assets ratios in their divisions of close to or above 3 percent. If BNP Paribas had observed that threshold, it would have needed another 1.5 billion euros ($1.6 billion) of equity to stick against its capital markets and advisory businesses, on Breakingviews’ calculations. That would have reduced its 2014 pretax ROE to the same 12 percent level as rivals. Apply a 30 percent tax rate and the combined businesses’ post-tax ROE would have been just 8 percent. SocGen, meanwhile, reported an even juicier looking investment banking ROE of 15.7 percent, after tax. But at a 3 percent leverage level, its investment bank’s ROE would have been about 9.5 percent: competitive, but nowhere near as eye-catching as its reported number. Neither of the Paris-based lenders is obliged to allocate more equity to investment banking. Basel-originated global banking standards that apply in Europe force big firms to hold three euros of capital for every 100 euros of assets at group level only. The capital can include some hybrid instruments and banks have leeway to reduce the gross asset base somewhat, to prevent double counting of hedged trading positions for instance. Continental European regulators remain adamant that the leverage ratio should be a secondary consideration. That is because it takes no account of risk. This philosophy explains why Deutsche Bank, another universal bank in the mould of the Gallic duo, is the other big firm that had similarly high investment banking leverage last year. But analysts and investors now view the leverage ratio as a constraining measure. It makes economic sense, then, for banks to manage their divisional businesses on that basis. For now, there is less to French investment banking returns than meets the eye. 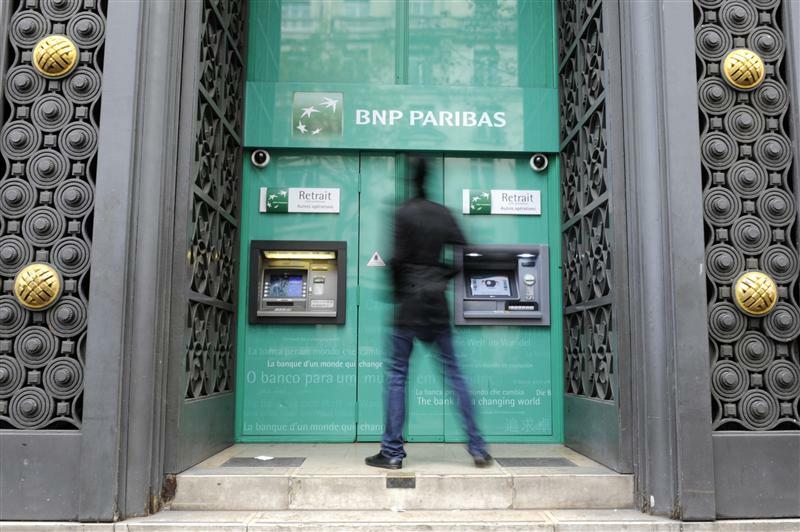 BNP Paribas reports first-quarter results on April 30. Societe Generale publishes first-quarter earnings on May 6.